Float through fresh powder, soak in the majestic mountain, or refresh yourself at one of the lodges that sits on the slopes of beautiful Mt.Hood. Summer on Mt.Hood is an outdoor paradise for the nature enthusiast. From the hundreds of hikes, lakes, and viewpoints to the ski lodges where downhill slides and zip lines make for a fast pace adventure of the Mountain. To stay within your comfort zone. Nature has inherent risk, please use common sense. Experience the power of the Pacific Ocean as you witness waves crashing onto sandy shores or into jutting cliffs and unique rock formations. 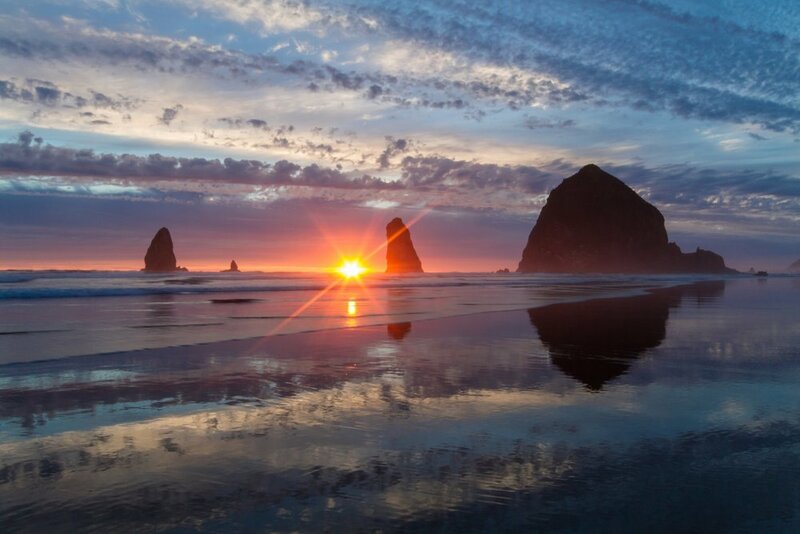 Enjoy a spectacular sunset as nature paints its gorgeous art up and down the Oregon coast. From Astoria to Gold Beach let us show you where the whales are, breathtaking view points, rustic lighthouses, and secluded beaches. We have the inside scoop on what you want. Soak in the array of scenes the Columbia River Gorge has to offer. From world renowned windsurfing and breathtaking waterfalls to dining at one of a kind restaurants, make your Oregon adventure something to brag about. This 75-mile long river is accompanied by 54 different hikes, 21 state parks, and over 295,000 acres of wilderness is calling your name. Let us show you the beauty.